There is no doubt that YouTube has changed the world. It has given its users the full power to upload any videos imaginable from how-to-videos to political ads, and share them across the globe. YouTube's biggest superstars from around the world in the likes of Tiffany Alvord, Alex Wassabi, Tyler Ward, AJ Rafael, Connor Franta, Lloyd Cadena and Tanner Patrick comes to Manila after last year's YouTube FanFest success. FanFest 2016 features 13 popular YouTube personalities co-presented by Globe Telecoms, Nescafe, Philippine Airlines, City of Dreams, and Mazda. 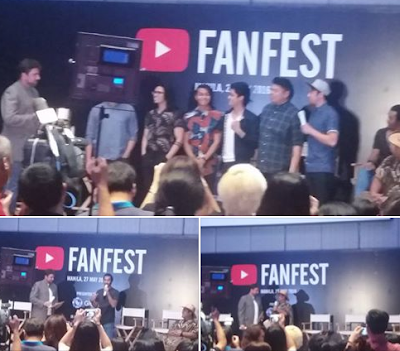 Ajay, Asia Pacific Regional Director for YouTube at Google, discussed how FanFest Manila came to materialize. Closely involved in working with a mix of some of the region’s biggest broadcasters and motion picture companies, and helping them partner with YouTube for meeting their digital video objectives, Ajay was instrumental in bringing in these personalities in the country for the second time at the World Trade Center this May 27th. It is amazing how the viral videos from amateurs, made them famous from them within a matter of minutes after uploading. While uploading a video to YouTube doesn’t guarantee an instant ticket to fame, it increases the chances of a genuine talent and originality in getting discovered. The YouTube FanFest shows how far reaching these personalities have on the youth today. Not only has YouTube opened new doors for talent discovery, it also revolutionalized entertainment and education.